Sharing Video and audio content on multiple devices has never been so easy before ! Agasoft uses a powerful Cloud Based Content Delivery Network technology to broadcast media online. It is highly scalable and caters to various fields of business. Our interactive web-based Live Streaming and Video on Demand solution have proven its efficiency in delivering high quality streaming even at alarmingly low bandwidth. This is possible because of the extraordinary streaming software and invincible network infrastructure. 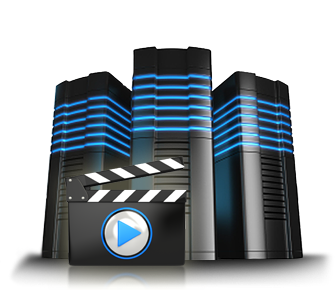 Our Media hosting Servers are powered by CDN Technology which allows scalability, security, stability and performance. A live video stream is a special type of online video that is delivered in real-time from the “Event” to any number of guests. It is delivered from the Event Site to our Content Delivery Network (CDN) which in turn delivers the live video stream via a Website to each Guest connecting to the service. Live Streaming can be used to broadcast live events, marriages, press releases, CEO meets, reality shows, sales events, symposiums, online lectures etc. This type of streaming is used to deliver pre-loaded media files. For example, play list of selected songs, pre-recorded events, pre-recorded training sessions, video tutorials, how to do video manuals, movies, trailers, prayers, masses etc. You can start and run your own FM and TV channel over the web and reach millions of audience at the lowest possible cost. Be smart ! No one needs to miss your Event Call Us Now !